Egg Donation Cyprus – euroCARE IVF offers a renowned Egg Donor and IVF treatment program that meets the criteria of the European Society of Human Reproduction and Embryology. Led by expert fertility specialists, Dr. Armağan Ulubaş, euroCARE IVF is providing an electrifying experience in North Cyprus. 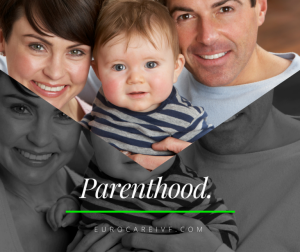 The euroCARE IVF egg donation program successfully treats women who are carriers of genetic diseases, women who have had multiple failed cycles of IVF, women with impaired ovarian function, and healthy older women. Donated eggs have made it possible for hundreds of women with a low ovarian reserve to experience the wonder and joy of pregnancy and childbirth for themselves. Egg Donation at the euroCARE IVF clinic involves using the eggs of a donor to conceive a child and allow the infertile couple to experience the joys of pregnancy and childbirth. An egg donor recipient may select an egg donor who is part of our in-house egg donor program. Egg donation typically uses IVF for fertilizing the donor eggs. Sometimes, unfertilized eggs may be frozen and stored for future use. Premature ovarian failure, a condition in which menopause has started before age 40. Diminished ovarian reserve, producing eggs of low quality, which happens after 40. 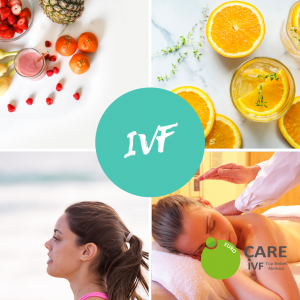 IVF with egg donation is ideal for women with poor quality eggs and women at an advanced reproductive age. Egg donation is also recommended in cases where women were born without ovaries, or their reproductive organs have been damaged or surgically removed due to disease or other circumstances. Another reason may be a genetic disorder that either causes infertility or puts the baby at high risk of receiving the disease. 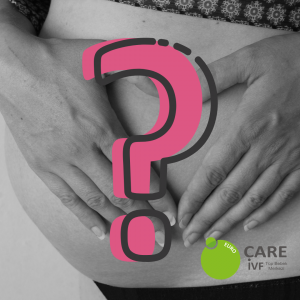 Women with unexplained infertility with multiple failed IVF cycles may choose IVF using donor eggs for better chance of getting pregnant. Finally, egg donation provides the LGBT community with the option of having a baby. Undergoing IVF with egg donation in North Cyprus requires the synchronization between the menstrual cycles of the donor and recipient. Your donor will begin stimulation injections to develop and mature her eggs and you will begin a course of tablets to prepare the uterus to receive the fertilized eggs. Embryo transfer takes place when the embryos are at their best development stage. Do you want to know more about the egg donation process? See our donor screening and selection and our step by step egg donation treatment process. Egg donors are first recruited, screened, and give consent before participating in the IVF process. 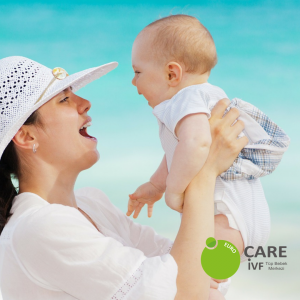 IVF procedure for egg donors is the same as for everybody else. Age is the major factor when selecting egg donors. Younger donors were reported to provide a significant higher pregnancy success rates (59.1%, 45.9%, 30.5%, 30.9% and 27.3% for the age groups 20–22 years, 26–28 years, 32–34 years and over 38 years, respectively). Donors undergo ovarian stimulation, followed by retrieval of mature eggs. After retrieval, the eggs are fertilized by the sperm of the male partner (or sperm donor) in a lab. After several days, embryo(s) are transferred in the uterus of the recipient, whose uterine lining has been appropriately prepared beforehand. The donor is required to undergo a thorough medical examination, including a pelvic exam, blood test to check hormone levels, Rh factor, blood type and to test for infectious diseases, and an ultrasound to examine ovaries, uterus and other pelvic organs. A family history of the past three generations is also required to check for any disease. Genetic testing is also usually done on donors to ensure that they do not carry mutations that could be passed on the baby. Once all tests are done and a legal contract signed, the donor begins the donation cycle, which typically takes three to six weeks. Couples using donor eggs usually bear all costs. Typically, you’ll be paying for your own procedure, as well as for the medical expenses, including any additional expenses due to complications that may arise from the egg retrieval process. In case the recipient doesn’t get pregnant with the first treatment, donors may be asked to donate eggs a second time. How to Improve Your Egg Quality for IVF Success?